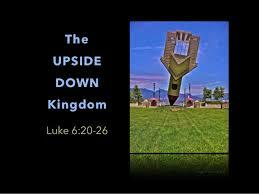 The additional element of Luke is that each blessing is paralleled with a woe. Vs 24 = But woe to you who are rich for you have already received your comfort. It seems that to be wealthy is a danger?! This month in Myanmar, we looked at the parable of the Rich Man and Lazarus (Luke 16:19-31). The Gospel was certainly Good News to the poor man but a dangerous warning to the rich man. We see this same challenge in Luke 18:18-22 when the rich young leader seeks eternal life and Jesus invites him to distribute his wealth – a requirement the rich man cannot take. Is the Gospel bad news to the rich? Is it wrong to be wealthy? In Luke 19 we read of the encounter of Jesus with the Zacchaeus the tax collector. He responds wholeheartedly to the Gospel and gives half his wealth to the poor and repays four times over all whom he has exploited. Jesus rejoices with Zacchaeus that salvation has come to him and his household. So the danger is not being wealthy – the danger is not using one's wealth to address issues of injustice and poverty and conflict. The danger (the woe) is against all those who hoard their wealth and do not care for the poor. Shalom Justice is Good News to all who listen and respond. It is good news to the poor and good news to the rich, but it requires a heart response. For those who have much now, much will be required. Many refused to listen because they did not like the consequences – the need to share with those who don’t have. What is our response today? Lord, we pray that you will bring salvation to our household too and help us to respond like Zacchaeus and share what we have with those in need. Final weeks as we count down to the start of our 6th Triennial Global Consultation. It was a tremendous answer to prayer to have an agreement from the Peruvian authorities that all participants can obtain a visa on arrival. The administration challenge is that we had to submit the list of all who would require this no later than the 21st August, so as to allow time for the authorities to process this and return a conformation latter which all participants needed to carry with them. Prayer point: please pray with us the that the Peru authorities would be able to turn this quickly into the confirmation letters so we can send these to each person on time this next week. Prayer point: for all who travel that no airline will stop travel and that each participant will have a smooth and safe journey to Lima. Week 11: 24th to 30th August: final information is being collated for the handbook and translation is being undertaken in earnest. Please pray for each of our translators as they face the mammoth task of getting all the resources and materials into 5 languages in the next 10 days. Please pray for the remaining interpreters that still need to be found for the consultation. Pray we can identify the right people and ensure they are present in Lima. Please pray with us for these funds – and if you are able to share in this, please send through to Micah Global today. Details on our website here. Our international Board meeting takes place on the 11th and 12th September in Lima: please pray for this important time together as we appoint new Board members, and prayerfully consider the next few years together for Micah. Pray for the Consultation team as we do all the last minute preparations of printing, set up and reception of participants who start to arrive this week. Pray for health and strength and joy as we seek to serve all who attend and those who cannot be with us. Pray for the safe arrival of all our participants, speakers and volunteers. Please pray daily for our time together that God would reveal his presence and will to us as we deliberate through the issues of concern. Pray we may be united in our decisions for the way ahead. Pray for the friendships and partnership that evolve form this week that God would enable us to bear much fruit. As people travel home and for those who tour Peru – may God grant us his Shalom and his vision. Pray for the safe return of all who attend and the constant reminder to act of what has been learnt and agreed on. Without the Holy Spirit guiding us nothing is transforming! 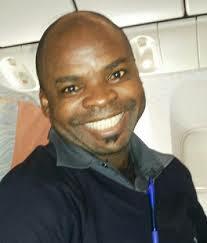 Most of us know Peter, who is one of our Africa Regional Coordination Group, and helps lead Micah Nigeria. He was the director of Global Relief for many years before recently starting to work with the UNHCR in Northern Nigeria. Peter must be one the most passionate and energetic guys we know, who never tires if seeking ways to serve the poor and those caught up in disasters. Just some weeks ago Peter suffered a ruptured brain aneurism. We thank God that he has come through this and is miraculously back home recovering from this. He will need extensive physio to gain back his mobility. Let us pray with him and for him – that God would fully restore Peter to full health. The coming of the monsoons signals a relief from the deadly scorching heat wave that was seen in the region of South Asia earlier on in May and June. However, the monsoon together with the cyclone “Komen” this year has brought widespread devastation in India, Myanmar, Pakistan and Vietnam leaving more than 300 people dead in the region. 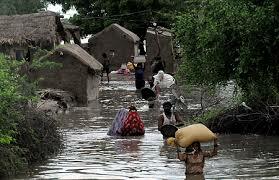 India: Heavy rain in July and August has resulted in extensive flooding and displacement of people. 293 lives have been lost with over 1 million people seeking shelter and relief. Pakistan: Early monsoons and what is being called a mini cyclone in April has resulted in flooding which has been exacerbated by heavy monsoon rain and melting of snow. As parts of the country struggle with too much water, other parts struggle with too little. Myanmar: over 210,000 people have been seriously affected by extensive flooding. Bangladesh: torrential rains have set off flash floods and landslides, with 19 lives lost. Compounding this Cycle Komen hit at the end of July impacting 1.5 million people. As we follow the news of flooding in these countries our heart goes out to the many families who face the challenging environment annually. Please pray for their wellbeing and relief provision now. Let us all pour out our hearts to God for a solution to help prevent such tragic loss of life and property from weather in this region. The technical knowledge is available to build safety into homes and to channel excess water away to the areas that need it. May His comfort and protection go to victims of these floods. 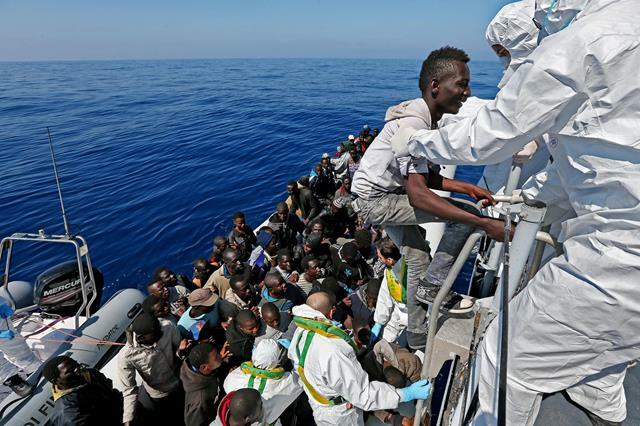 Over the weekend, the Italian Coastguard rescued 3,000 migrants in the Mediterranean in a single day [report here]. The increasing numbers of migrants and refugees trying to enter Europe is causing significant political and humanitarian challenges in several European countries. We cry out for just and compassionate political and personal responses to these challenges. Earlier this month, about 1,000 refugees were locked up overnight in a stadium on the Greek island of Kos without food and with very little access to water. Local authorities had swept through the island, clearing refugees from public squares and parks where they had set up encampments. The refugees, most from Syria and Iraq, were waiting to be issued travel documents that would allow them to move legally to Greece. [OSJ]. God, we pray for an end to the refugee crisis in Europe, and especially that shocking events like this one may be averted. We pray for Syria and Iraq and for an end to the continuing violence in those countries. May international leaders work together to make peace instead of war. We pray also for your presence and protection for those who suffer in the meantime, and for the communities to which they have fled. May the stranger be welcomed as a blessing. And God said, “Let the water teem with living creatures, and let birds fly above the earth across the vault of the sky.” So God created the great creatures of the sea and every living thing with which the water teems and that moves about in it, according to their kinds, and every winged bird according to its kind. And God saw that it was good. With les than 100 days until the UN Climate Change Conference in Paris (COP21), Micah USA, as part of the Climate Caretakers coalition, has produced a helpful prayer guide to help individuals, churches and organisations engage in prayer as key response to the challenges presented by climate change. The Prayer Guide is entitled For All Creation and takes us on a journey through the creation story and encourages us to pray for those in leadership who make important decisions in the fight against climate change in coming months. Micah Nepal have requested the global community to pray for the ongoing constitutional process in that country. Protests have erupted in response to potential changes to conversion laws as well as new federal demarcation. You can read more information on how this will potentially impact Christians in Nepal from Christian Solidarity Worldwide here. 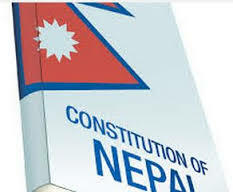 Lord we pray that power is used wisely and that the new constitution will enhance freedom and promote the rights of minority and marginalised popoulations in Nepal. We ask that protests will be non-violent and that the voices of those who protest will be heard and considered. The mission focus of Asociación Vida is to ensure quality care is given to those who have HIV and AIDs, with a special focus on addressing stigma and discrimination. By standing in the gap for those affected and supporting their rights and access to care, Asociación Vida comes under a lot of pressure. As members of Micah we would like to stand with them in prayer and in solidarity as they in turn protect the rights of many who are often marginalised and oppressed. Lord, please surround Asociación Vida with your protection and fill them with your presence. May they hear and know your voice guiding them as they face opposition and difficulties. We pray for breakthroughs and much fruit from their work.